Am I Being Jilted By My Real Estate Agent? We love reader questions here at the Tallahassee Real Estate Blog, and today's post is an in-depth reply to a reader who has grave concerns about the intentions of her real estate agent. We often write articles and share stories about the importance of hiring the right real estate buyer's agent, as the purchase of a home is typically the largest economic investment that people will make during their lives. Today's article will show you the concern that is caused when one realizes how much they have to rely on their buyer's agent, and when a lack-of-trust is discovered, it often times comes after money has been spent. Why spend thousands of dollars before figuring out whether or not your agent is a good one? Why not do that first? I put $1,000 down as good faith money towards a property that my real estate agent told me was worth $90,000 dollars. I had a appraisal done and paid $400 dollars and paid $365 dollars for an inspection on the property. The house was appraised at $40,000 and that is how much the loan company will loan. My question ... the taxable value is $21,681 for year 2014 and $22,027 for 2015, am I being jilted by my agent? - Mary F.
First of all, I want to thank Mary for providing not only a great question, but a good bit of information so that we can explore her situation and provide the best answer possible. In order to fully answer Mary's question, I want to segment it into several key groups that a homebuyer should consider. Don't spend money until you know you are in the right hands. - Getting a great deal in real estate requires you to be properly informed about the market and the process of buying a home today. Before you run off to go look at houses, first take the time to interview agents for the job of helping you buy a home. 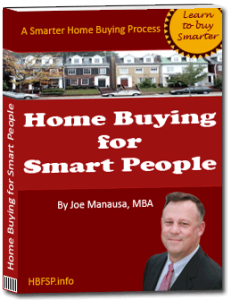 Make sure you select somebody who sells a lot of homes each year, as you want them to be somebody who continually practices the skills required for you to get a great deal. When it comes time to make tough decisions, you want to know that the advice you are receiving is the very best that you can get. You should spend an hour or so with them talking about your needs and wants, as well as having them show you the process that you will use to ensure that you save money at every step in the home buying process. Don't write an offer based upon somebody else's opinion of value. - Even when you are working with a real estate buyer's agent that you trust, the only opinion of value that should matter is yours! This is going to be your home, make sure it is the best one possible within your budget. If you are relying on a real estate agent's opinion of value (or even an appraiser's), then you have not studied enough properties on your property search tool. Your opinion of value could very well be higher or lower than what an "expert" who hasn't looked at the market offerings through the eyes of an end-consumer. You'll be living there, your opinion of value needs to be well-informed and well-prepared. Understand the expected outcome of an appraisal before you make an offer on a home. - Once you have determined your own opinion of value on the property, you will still be needing an appraisal if you plan on financing the home. Ask your trusted buyer's agent whether she/he has any concerns about the property appraising. 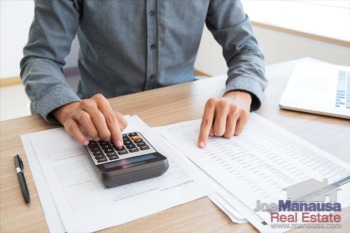 You must understand that the mortgage company will be lending a fraction of value of the contract price or appraisal, whichever is lower, so you might need a larger down-payment if the property you purchase does not appraise as high as your contract price. This means that if you know you are going to be tight on cash, don't make an offer on a house that you value higher than your real estate buyer's agent thinks the appraisal value will be (can you see why having a great buyer's agent becomes so important as the process of buying a home continues?). How valuations for tax purposes reflect true market value. - Real estate is local, thus taxation is an issue that must be addressed locally. Here in the Tallahassee real estate market, there is no correlation between the taxed value of the home and the current market value. I have prepared an article about what to expect to pay in property taxes when you move to Tallahassee if you are interested, but it does not address taxation in Detroit, Michigan or Boise, Idaho ... or any other US housing market. This is a question that comes up occasionally from new home buyers, but my best advice is to ignore the current tax valuation on the property. So taking all of this in to consideration, how do we specifically answer Mary's question? 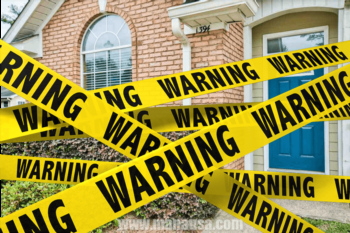 Unfortunately, (and this is why having an agent you trust is so important), I do not know the property in question as it is not in the Tallahassee real estate market. Also, Mary did not share with us how much she agreed to pay for the property ($90K?). We only know that she was thinking she was buying a property that was worth $90,000 and the appraisal came in at $40,000. I cannot specifically say that Mary is or is not being jilted by her real estate agent, but I do know that she should go meet with the Broker of her agent. Think of the real estate broker as the "boss" of the agent, as that is how the law in most State's see it. Mary should ask the broker to review the events thus far, and she should get the broker's opinion of value and opinion of the transaction. If the Broker thinks she should walk from this transaction, I would strongly suggest she look at the money spent as the cost of her real estate education. If this is the case, Mary should start the process all over again, but this time begin by interviewing agents until she has a great one that will take care of her. Mary, I hope this answer's your question, it's the best I can do with the information that I have. As a reminder to our readers, if you want to know more about buying or selling a home in Tallahassee, just drop me a note and we will respond immediately with the best advice in the Tallahassee real estate market.